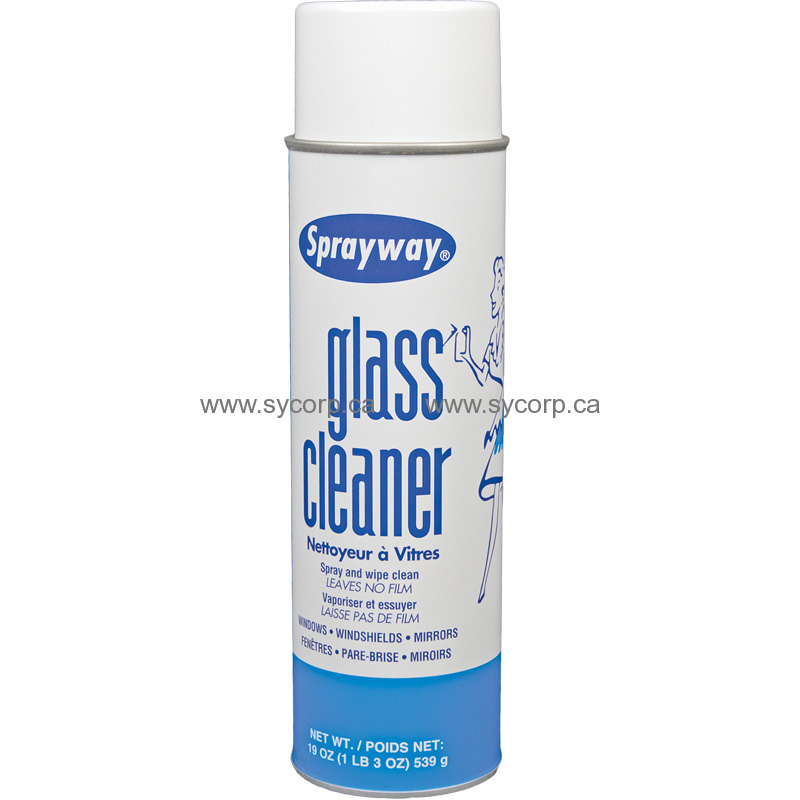 Glass Cleaner for cleaning and polishing glass, mirrors, windshields and windows. This easy-to use, fast acting product uses a clinging foam to break up soils and hold them - even on vertical surfaces. There is no dripping, no running and no streaking. With an exclusive formulation using denatured alcohol and no ammonia. Cleans thoroughly, dries quickly, requires no rinsing and leaves a pleasant, fresh aroma. Spray on and wipe off to remove fingerprints, dust, dirt, lipstick, smoke film and other common soils from: windows, mirrors, windshields, glass surfaces. The most versatile glass cleaner available - cleans glass, windows, mirrors, windshields; enamel surfaces, chrome, tile, porcelain and other hard surfaces. Dissolves dirt, grease, grit, and grime. Heavy-duty foam clings to vertical surfaces. Contains perfume-grade alcohol for best performance.